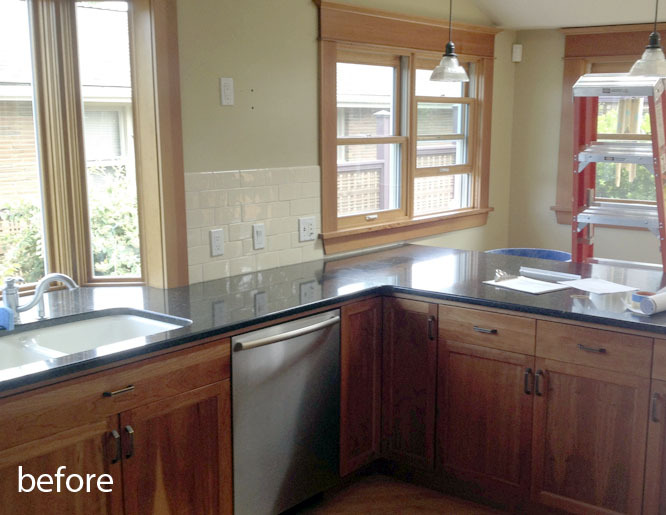 This 1920's West Seattle home suffered a series of good and bad remodels until the current owners decided to update the kitchen. After removing the 90's maple flooring and cabinetry, a few dividing walls were removed, a built in breakfast nook was added and the overall flow was greatly improved. 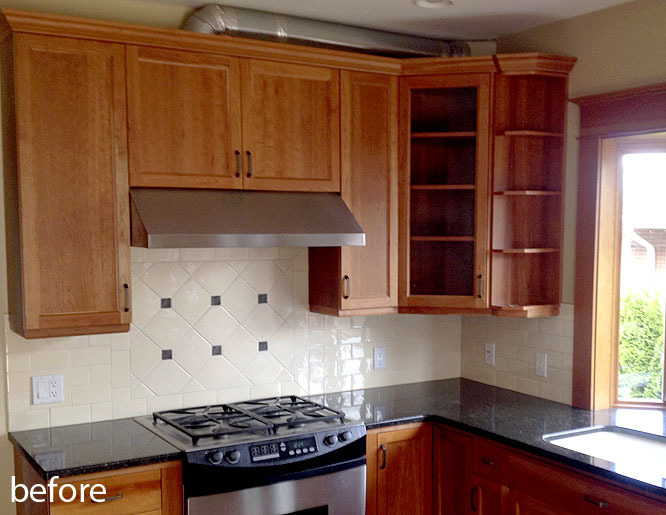 Oak flooring, a large island and hood and a new 1/2 bath adds cohesion to a great space for some great clients.